Overall, the mission for healthcare is clear: provide quality service to a mass population in an efficient, ethical and cost-effective manner. With rising costs, however, executing healthcare’s mission is an incredible challenge. As the healthcare evolves to keep up with industry demands, how can hospital systems, healthcare providers and real estate executives work together to succeed in delivering quality healthcare while maintaining a valuable return on investment? 1. Major Mergers and Acquisitions: How will the mergers of CVS-Aetna and Dignity Health-CHI, as well as HTA’s $2.8B acquisition of Duke Realty’s healthcare portfolio impact healthcare in 2018 and years to come? 2. The Future of Technology in Healthcare: What are the new advancements in healthcare technology? Will telemedicine become the new normal and how will this disrupt traditional brick & mortar care? 3. The Evolution of Culture Within the Hospital: How will patient-centric facilities increase quality of care? Can the value-based systems of small, independent healthcare facilities be adopted in national hospital systems? 4. Procurement Challenges (and Successes): How can executives look to industries outside of healthcare (i.e. industrial/manufacturing, e-commerce/retail, hospitality, etc) to improve the procurement of healthcare? What are the best practices to keep costs down? 5. Retailization of Healthcare: Will outpatient facilities overtake the demand for new hospitals? Will Amazon and/or other e-commerce conglomerates become a source of doctor – patient pharmaceutical deliveries? How far will the retailization of healthcare go? 6. Design & Construction: An Evolution of Healthcare Facilities: The millennial generation is driving the demand for hotel-like hospitals. How will this impact the way hospitals, outpatient facilities and urgent care clinics are designed? Where are the opportunities for the AEC community? 7. The Future of the ACA Under the G.O.P. Tax Bill: The new G.O.P. tax bill eliminates the individual mandate penalty for not having healthcare, weakening Obamacare. What does this mean for the industry? 8. New Developments, Leasing & Financing: What will 2018 bring in regard to new development, leasing and financing in healthcare? Will the market remain healthy? What states and cities have the most activity and opportunities for healthcare? 9. 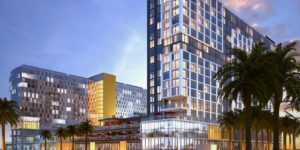 The Future of Senior Living: With baby boomers entering senior living facilities in the next decade, how will a new generation of tenants impact the design and development of senior living facilities? 10. Healthcare Data Innovation & Privacy: While we are becoming an increasingly data-driven world, how can data be used to deliver better care while preserving the integrity of confidential information? 11. Private Public Partnerships: How are health systems, non-profits, developers and government executives partnering via P3 to deliver high-quality, cost-effective health facilities? 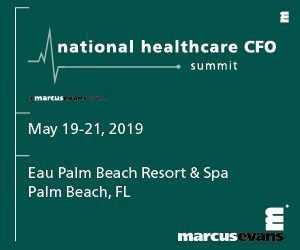 Join us for this full day event to hear more about these topics and to network with the biggest influencers in healthcare real estate, healthcare providers, hospital systems, academic institutions, healthcare REITs and construction & design firms. As always, Bisnow provides an abundance of opportunities for networking and deal-making in a fast-paced, (almost) never boring, real 9-5 day (not like your current job). We look forward to seeing you there!